Maisonneuve | Photos: What is Street Food? 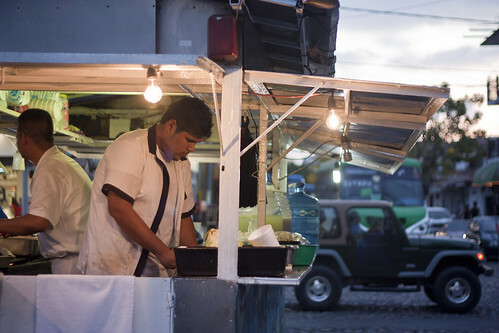 Photos: What is Street Food? 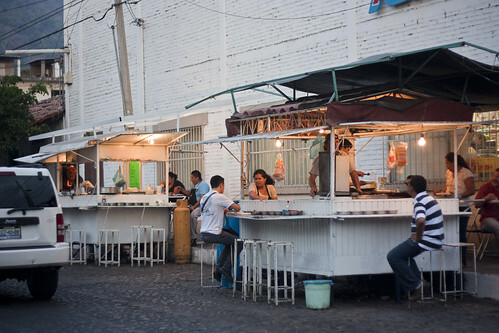 It’s an interesting argument because it upends traditional notions of street food. Hong Kong’s dai pai dong are generally seen as street food, but when they serve two dozen tables with a menu of 50 dishes, they fail to meet any one of Eckhardt’s criteria. They’re outdoor restaurants more than anything else. By the same token, the hawker centres of Singapore and kopi tiam of Malaysia serve street food even if they are technically off-street food courts. Last March, I found myself in Puerto Vallarta, a town in the Mexican state of Jalisco, which is where tequila and mariachi music come from. 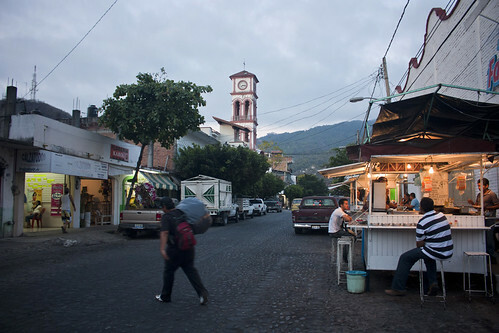 Vallarta is a balneario — a seaside resort town — and it was little more than an obscure fishing village until tourists began arriving in the middle of the twentieth century. But it’s a surprisingly pleasant place, without too much of the spring break tackiness associated with resorts like Cancun or Cabo San Lucas. 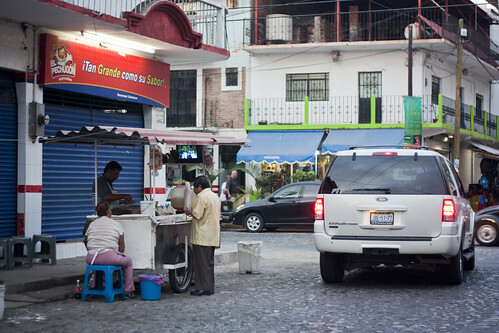 It doesn’t take much effort to stray into neighbourhoods that feel pretty normal, and this being Mexico, normal means an abundance of street food. 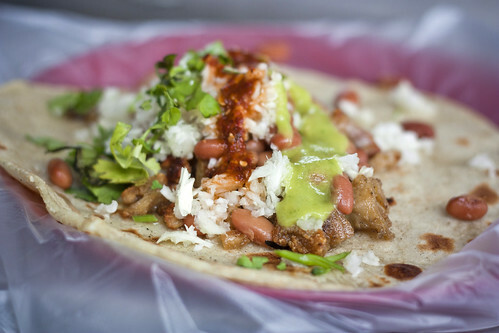 So much of what makes Mexican cuisine great — slow-cooked meats, hand-pressed tortillas, fresh herbs and condiments — lends itself to the immediacy, proximity and specialization of street food. Each stall I visited served essentially the same kinds of food, yet each took a remarkably different approach. Three in particular stood out. 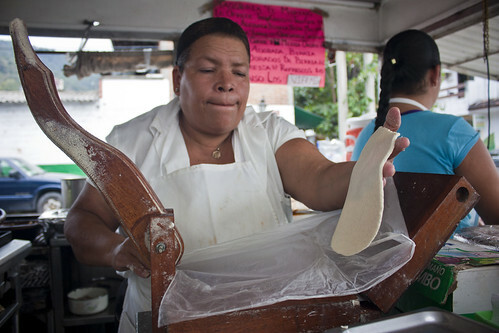 The first was run by a large matronly woman who pressed each tortilla to order before grilling it and garnishing it with a few select ingredients: crispy beef tripe or improbably rich pork stew, homemade salsa with big chunks of ripe tomatoes and a fistful of fresh coriander. The second stall took a more liberal approach to its tacos, quesadillas and burritos, with a mishmash of ingredients that made them resemble Mexican hamburgers. Bizarrely, each dish was named after early-2000s figures like George W. Bush and Osama Bin Laden. The third stall was seriously macho, staffed by buff twentysomething guys with sunglasses who heaped their tortillas on the grill and basted them in pork fat. The specialization of each stall gave it an edge over similar fare served in restaurants. Aside from a couple of fine dining places, the only memorable restaurant meals I had were at street-food-style joints, including one that specialized in tacos al pastor and another that focused on smoked marlin. But the immediacy and proximity were just as important. 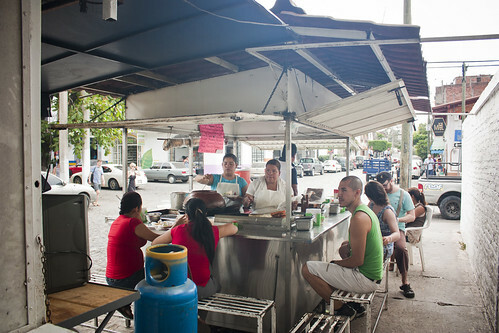 A large part of the experience is watching the vendor make your food just a couple of feet away from you. You hear the sizzle of the grill, smell the coriander, see the steam rising from a pot of stew. And for the locals, it’s a chance to have a chat with the person making their food.